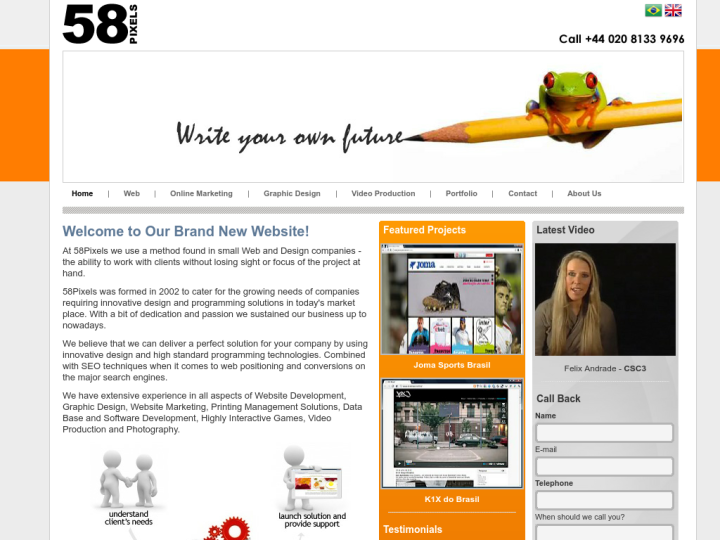 58PIXELS was formed in 2002 due to the growing need of the companies requiring innovative design and high standard programming techniques. It provides Website Development, Graphic Design, Website Marketing, Printing Management Solutions, Data Base and Software development services. This also provides services for Highly interactive Games, Video Production and Photography. The company understands the requirements of its client, create and develop effective solutions and launch full support. It provides customized website development solutions. 58PIXELS understands the requirements of the owner and the user and satisfy them after putting their full efforts.